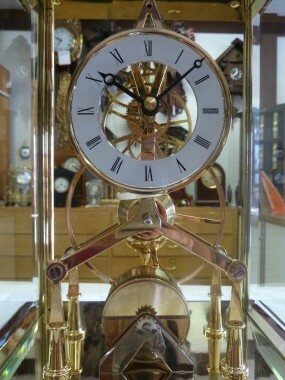 A German designed brass skeleton clock, with white enamel dial, anchor escapement and single-train 8 day fusee movement. 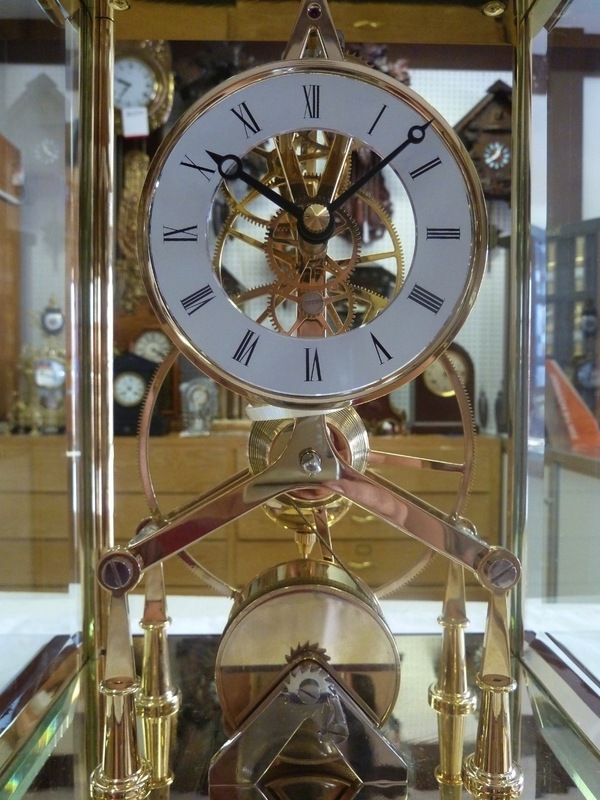 Movement is enclosed in a solid wooden case featuring bevelled glass. 2 year warranty.